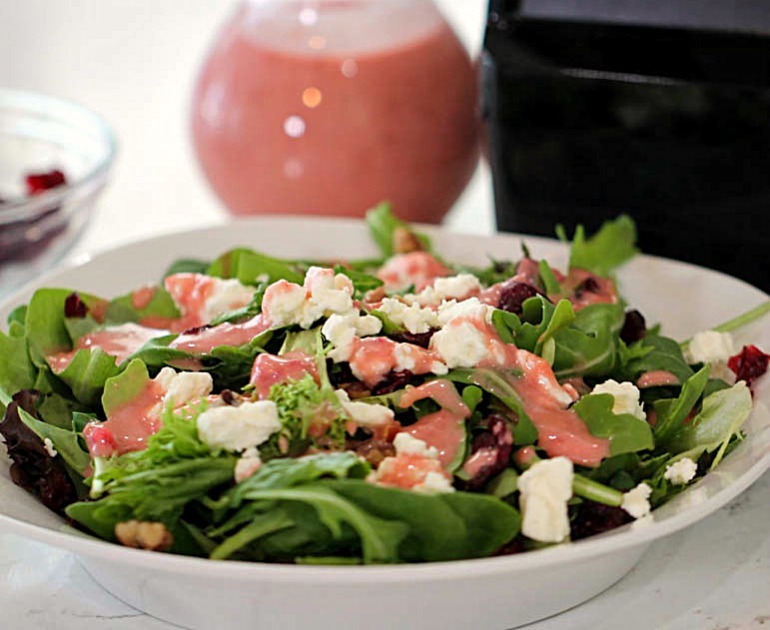 Make your own Fresh Raspberry Vinaigrette Balsamic Dressing at home - it's so easy! Learn the secrets to making this creamy dressing from scratch. 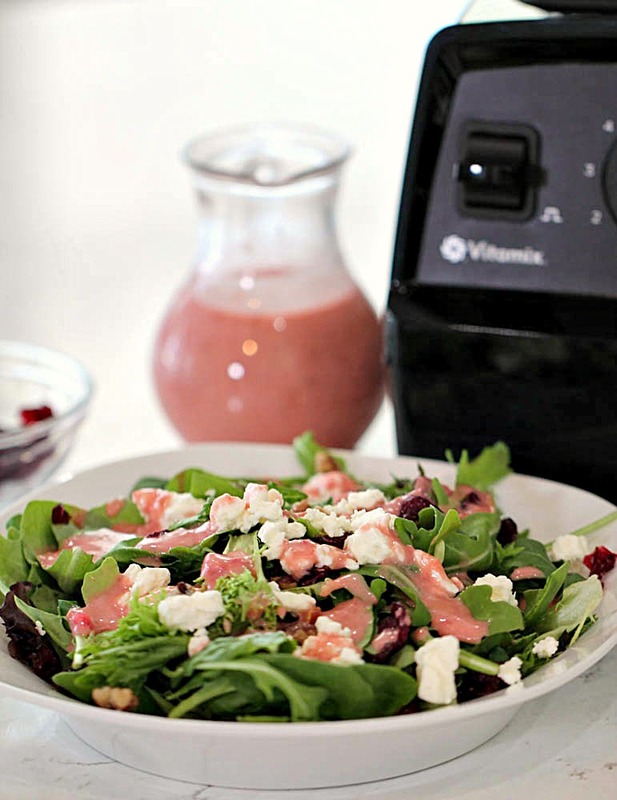 *This recipe and video was made in partnership with Vitamix. With summer in full swing, all the fresh produce is calling my name! 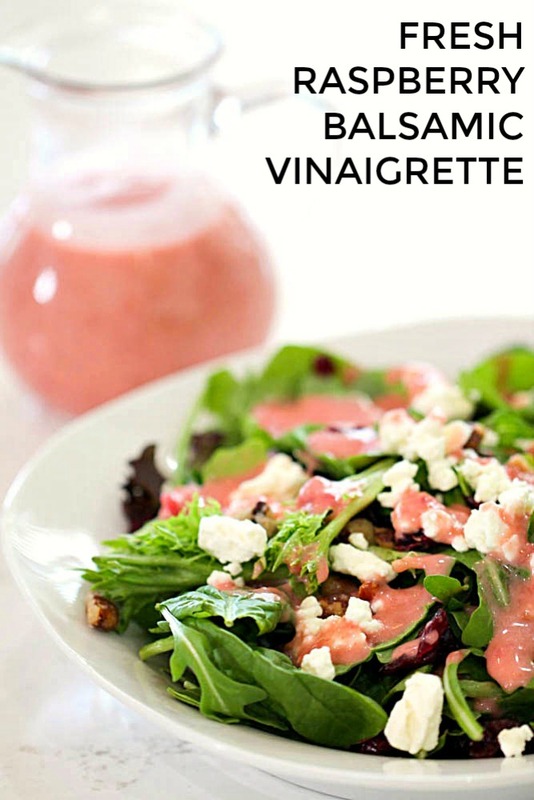 Today I am sharing a quick recipe for a homemade fresh raspberry balsamic vinaigrette dressing. Don’t be intimidated – it is SO easy. The first secret to this is dressing is the Aer Disc Container from Vitamix. This blender attachment is amazing! The liquid ingredients are pulled through small holes in the spinning disc which aerates and emulsifies them, making this oil-based dressing SO creamy! But then the Aer Disc Container takes the raspberries and agitates them instead of purifying, giving this dressing it’s amazing fresh flavor and color. The second secret to this dressing is using a WHITE balsamic vinegar. While the flavor is fairly similar, the COLOR makes all the difference. When you use a regular balsamic vinaigrette, the color will turn the dressing a dark, murky color. The white balsamic vinegar is what will help the pink color from the raspberries shine through. This dressing can be made in advance and stored in an air-tight container in the fridge for up to 2 weeks. If you don’t have fresh raspberries, you can use frozen raspberries for this recipe. Just make sure that the raspberries are thawed and blotted dry of excess moisture. 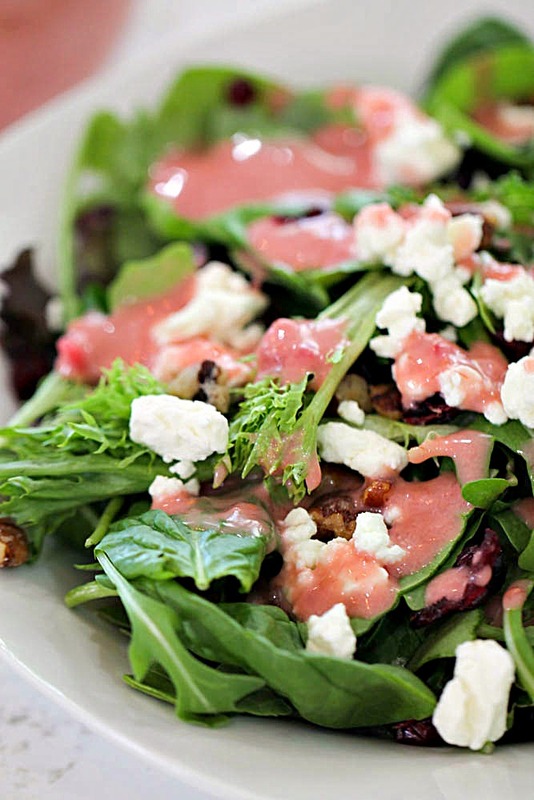 Toss a quick salad together with mixed greens, dried cranberries, feta cheese, and candied pecans. In a small bowl, mash the raspberries with a fork. Add in the sugar and mix well. In the Aer Disc Container, pour in the white balsamic vinegar and olive oil. Add in the mashed raspberries and the honey. Using a Vitamix blender, select variable 1. Turn the blender on and slowly increase speed to variable 10. Blend for 60 seconds. Turn speed down back to 1, then turn blender off. Serve over fresh green salad. Keep in an air-tight container in the fridge for up to 2 weeks. Perfect for the fruits and vegetables bounty here ! Thank you so much !